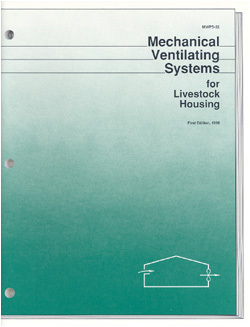 This complete guide will help in evaluating existing mechanical ventilating systems. It looks at alternative systems, and has a section on troubleshooting to help diagnose problems. Applications and examples are provided for beef, dairy, calves, equine, poultry, rabbits, sheep, and swine.